As Colorado-based Catholic Health Initiatives (CHI) extends its dominance over healthcare in Kitsap County, a new report presents evidence that CHI patients in Kitsap have faced personal and financial hardships due to the company’s billing and debt collection practices and its substandard financial assistance program. These findings echo allegations made by the Washington State Attorney General in lawsuits filed against CHI Franciscan Health for price-fixing in Kitsap County and charity care violations at CHI St. Joseph Medical Center in Tacoma. 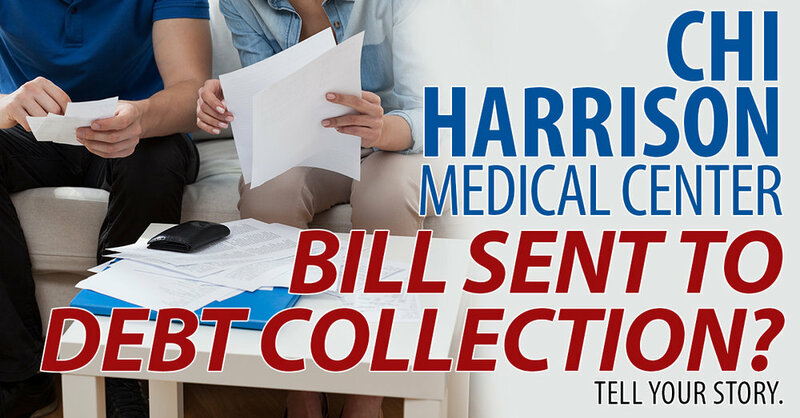 Between 2014 and 2016, CHI-Harrison Medical Center reduced charity care spending by $8.3 million – an 86% decline. 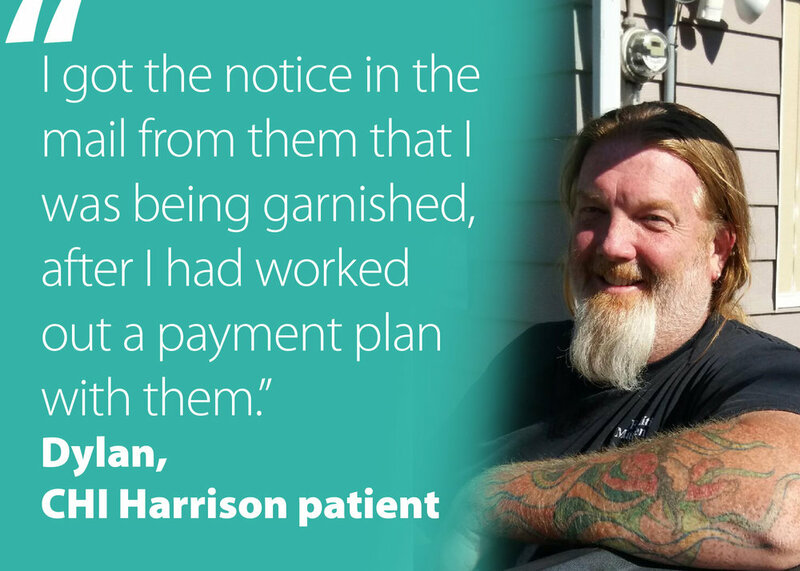 CHI Franciscan patients with billing problems frequently report that they were not informed about the opportunity to apply for financial assistance. CHI Franciscan patients told researchers they face intense pressure to pay for procedures before they are even performed, and prior to being properly screened for financial assistance. In 2016, CHI Harrison avoided $1.63 million in Kitsap County property taxes due to its charitable tax exemption – $312,000 more than the cost of charity care provided by the hospital. 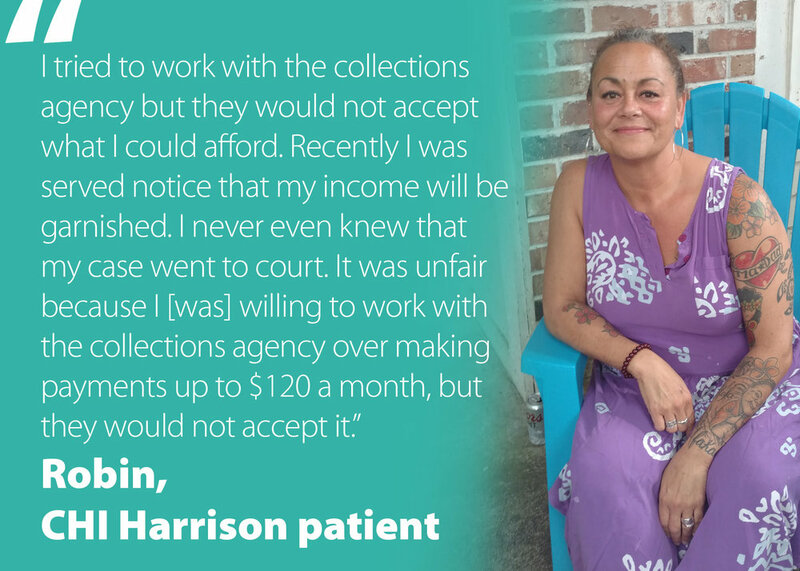 Patients reported financial hardship due to wage and bank account garnishments initiated by CHI Franciscan’s debt collection contractor. CHI Franciscan patients are being fast-tracked to collections without being given enough information or time to apply for financial assistance (also known as charity care) or make payment arrangements. 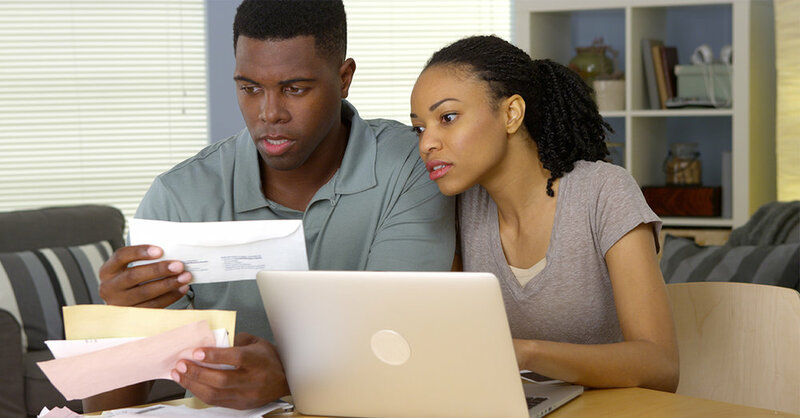 Have you had problems with incorrect billing or aggressive debt collection by CHI Harrison Medical Center? Tell your story.